status update on the Company’s development portfolio. data from the trial of ruxolitinib cream in patients with vitiligo. ruxolitinib be approved in this new indication. patients with steroid-naïve acute GVHD (GRAVITAS-301). driver-activations of FGF/FGFR later this year. December 2018. Data are expected to be available in 2020. Phase 3 trials later this year. exon 14 skipping mutations this year. (“GAAP”), unless otherwise identified as a Non-GAAP financial measure. when considered in conjunction with Incyte’s GAAP disclosures. establishing budgets, operating goals and financial planning purposes. to $67 million for the same period in 2017. $5 million and $9 million, respectively, for the same periods in 2017. European business of ARIAD Pharmaceuticals, Inc.
our collaborative partners of $5 million and $52 million, respectively. additional costs related to the commercialization of Jakafi. and administrative expenses exclude the cost of stock-based compensation. million, respectively, for the same periods in 2017.
basic and diluted share for the same period in 2017.
totaled $1.4 billion as compared to $1.2 billion as of December 31, 2017.
business of ARIAD Pharmaceuticals, Inc.
valuation allowance position on deferred tax assets. 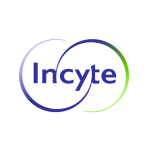 Incyte will hold a conference call and webcast this morning at 8:00 a.m.
prompted, provide the conference identification number, 13686537.
post–polycythemia vera MF, and post–essential thrombocythemia MF. Jakavi® (ruxolitinib) outside the United States. is not clinically appropriate; or who have the T315I mutation. including Switzerland, Norway, Turkey, Israel and Russia. and the expectations underlying such guidance. related to Calithera and $40,500 related to Agenus. the Consolidated Statements of Operations. line item in the Consolidated Statements of Operations. item in the Consolidated Statements of Operations. straight-line method over the estimated useful life of 12.5 years. while taking into consideration any valuation allowances.